Rwanda the land of a thousand hills is also known as one of the world’s fastest-growing economies, Rwanda has established the powerful role of entrepreneurship in reconstruction and reconciliation. The country’s annual GDP growth has averaged 8 percent over the past several years, and the percentage of people living in poverty has declined significantly. Rwanda aims to become what it describes as a “knowledge-based, service-oriented economy with middle-income country status” within the next few years. Rwanda has a population of 11.8 million people and a Gross Domestic Product (GDP) of USD 8.096 billion dollars. Rwanda’s economy flourished by an average of 8 percent annually from 2002 to 2012, and then 6.9 percent growth in 2015 and 5.9 percent growth in 2016. The International Monetary Fund (IMF) expects Rwanda’s GDP to grow between 6-7 percent in 2017 and 2018. Inflation remains below 8 percent (pushed up from 5% in 2016). Rwanda enjoys relatively high rankings in the World Bank's Ease of Doing Business Index, which ranked Rwanda 59th out of 190 economies in the 2016 report—second-best in sub-Saharan Africa behind Mauritius. Leading sectors in Rwanda include energy, agriculture, trade, hospitality and financial services. Rwanda’s economy is essentially rural and heavily dependent on agriculture but they have big plans to change things. Strong and steady growth in the services sector particularly construction and tourism have contributed immensely to overall economic growth. The government’s economic priority is turning Rwanda into a regional trade, logistics, and conference hub. Pillars of this progress include the construction of several new international business class hotels and a convention centre in downtown Kigali and expanding and investing in the fleet for the national carrier RwandaAir. When we talk about the exports, Rwanda’s exports increased by 7.4 percent year-on-year in 2016, reaching USD 621.6 million according to UN ComTrade data. Commodities, mainly gold, tin, tantalum, tungsten, tea, and coffee, got over 48 percent of its export revenue. Rwanda earned USD 73.5 million from tea exports in 2016, a nine percent increase from 2015. Over the same period, coffee accounted for USD 59.5 million worth of exports, down seven percent from the previous year. Major markets for coffee exports are the United States and Europe, while the Middle East and Pakistan are the main buyers of Rwandan tea. Tourism was, for the first time in 2016 the country’s leading foreign exchange earner with total revenues estimated at USD 390 million in 2016, according to the National Bank of Rwanda. Leisure tourism and Business tourism played pivotal roles in this upsurge. They are the highest income generating sectors. The escalation of Meetings, Incentives, Conferences and Events (MICE) led to the same. When it comes to crime rates Rwanda’s strong police and military provide a security umbrella that minimizes potential criminal activity and political conflicts. Rwanda is not for the short-term investor, but there are opportunities to be pursued over the long haul. 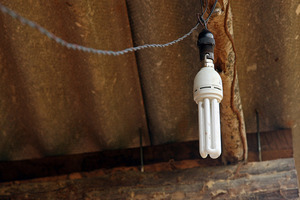 As a part of the national electrification program The Electrogaz Compact Fluorescent Lamp Distribution Project distributes high efficiency and high quality compact fluorescent lamps (CFLs) to urban and rural residents across Rwanda. 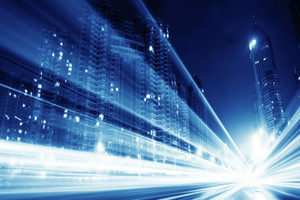 Both new customers and those already connected to the power grid are targeted by this project. To teach them to use electricity more efficiently by replacing tradit. . . The rapidly growing urbanization in Rwanda is characterized by increasing street lighting all across different cities and its roads, this puts pressure on the city authorities because it consumes large amount of energy.Three firm synergy has come together in order to reduce energy consumption because of street lighting by introducing an intelligent system that is aiming at reducing energy consu. . .
Rwanda, an East-African country of 12 million inhabitants, is recognized around the world for its natural beauty and wildlife, its booming industry, and its accompanying rapid transition from a low-income to a middle-income economy. Numerous construction projects and modernization initiatives in urban and rural areas are driving the need for better lighting products and technologi. 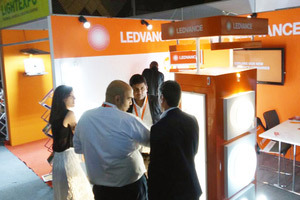 . .
LEDvance, is a cutting edge company and currently the sole provider of voice-dimmable filament LED lamps that work with Apple products. The concept is now available in Europe, after having first launch t in North America. 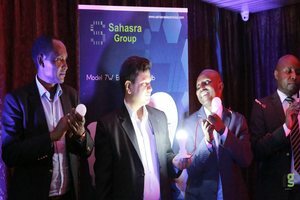 Being a Germany based company, LEDvance is marketing the bulbs in Europe under the Osram name while using the Sylvania label in North America. It'. . . Customer experience is an important part of visual marketing and a prime component of the same is lighting. It is key to help highlight displays and properly showcase product to potential customers so as to create a better shopping experience that drives sales and revenue. 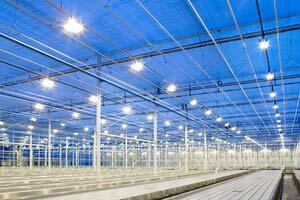 For these reasons, it is critical to maintain a well-lit facility. But does it mean that a facility may shoulder greater en. . .